Aberdeen leaders and activists attended a vigil for the victims of last week’s terrorist attack in New Zealand. 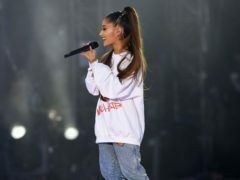 Pop star Ariana Grande has said her thoughts remain with all those affected by the Manchester Arena bombing one year on from the atrocity. Gig-goers will be faced with extra charges at the North-east’s biggest concert venue as a result of the increasing terrorist attacks being carried out around the world. Security remains high across Brussels after a man blew up an explosive device at the city’s Central Station. An attack on a group of worshippers near a mosque by a man in a white van is being treated as terrorism, police said. Inquests have been opened into the deaths of five of the London Bridge terror attack victims. The death toll from the terrorist attack in London Bridge has risen to seven, the head of Scotland Yard has revealed. If the incident on Saturday night is confirmed as terrorism, it would mean the UK has faced three attacks in the space of less than three months following the Westminster and Manchester atrocities in March and May. At least five people are dead and many more injured after a terror attack which saw a hijacked lorry plough into pedestrians in Stockholm. A police officer who was killed during the Westminster terror attack died after being stabbed in the chest, despite wearing body armour. The aftermath of any horrific attack can often result in a flurry of information – and misinformation – being circulated, as has been the case with the Westminster attacks. Police Scotland has announced it will ensure armed officers and specialist resources are "appropriately deployed" after the Westminster terror attack. A policeman has been stabbed and his attacker shot by officers after a major terrorist incident at the Houses of Parliament.